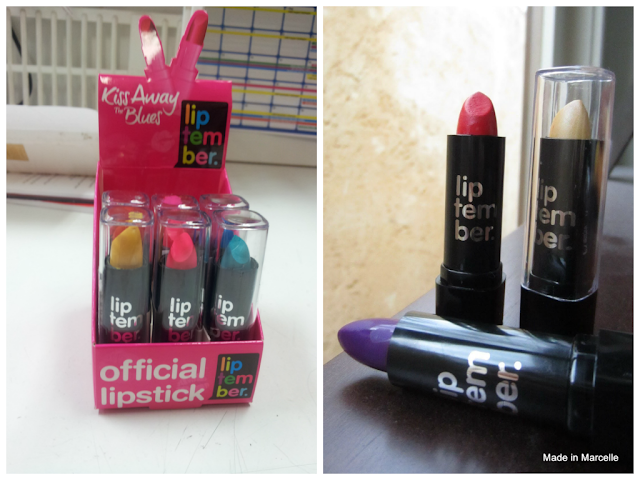 It is time to pucker up again this year for Liptember. A fun fundraising event aimed at raising awareness about women mental health issues. See the information here to get involved. 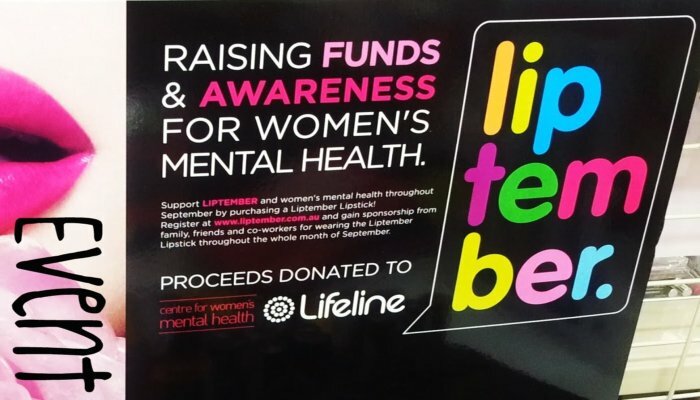 Liptember is committed to raising funds and awareness for gender specific mental health issues for women. Through a fun, fresh and engaging campaign, Liptember encourages women to openly communicate and familiarise themselves with gender specific mental health issues. Lipettes are able to sign up on their website to start fundraising. Then "kiss the blues away" by wearing a bold lipstick (preferably an official Liptember one) every day of the month in support of women every where. So there are different products released for this event which are exclusive to Chemist Warehouse. 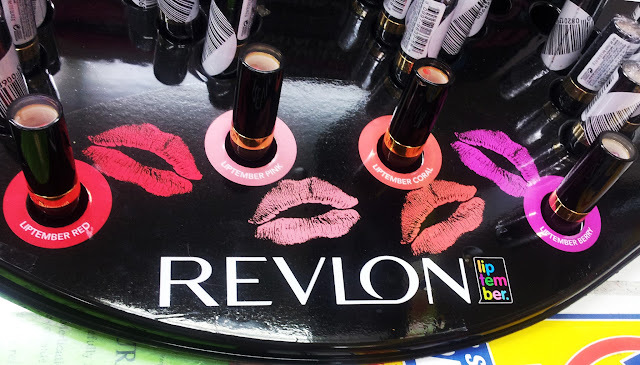 There are the official Liptember lipsticks which have really funky looking colours and limited edition ones released by their major sponsor Revlon. I guess the bolder you go the more awareness you will get, so being the daring person she is, Court bought a few of these. 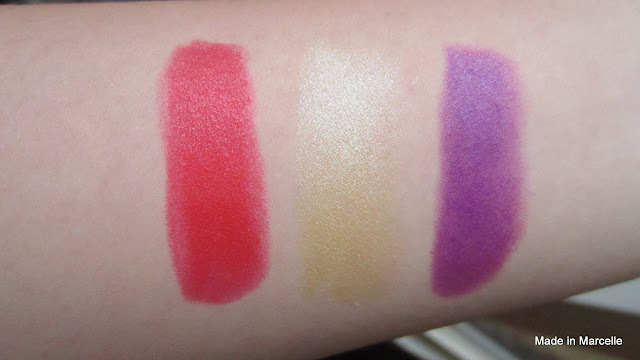 Swatches are as above. The gold was a lot more sheer than we expected. Then there were the Revlon ones released in support of the cause. Guess who is guilty of falling for limited edition products? So even though we're not officially participating in the event, proceeds still go towards the cause. It was a hard decision between red, pink or coral. So to minimise the spending guilt, pink was the way to go as it looked like the most usable colour. Plus these are only $9.99. 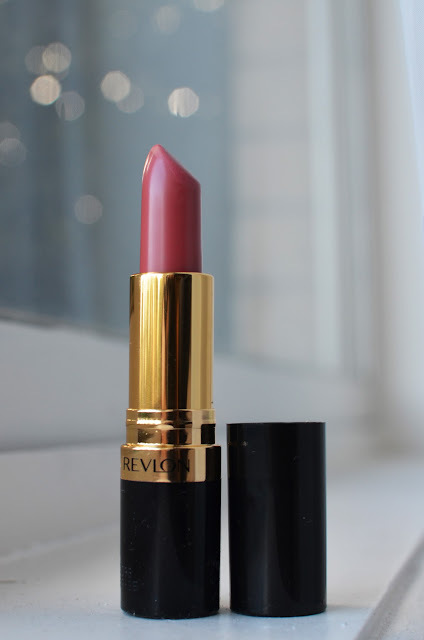 It comes in the signature Revlon lipstick packaging, which we love for its timeless simplicity. The product applies smoothly and looks so natural. 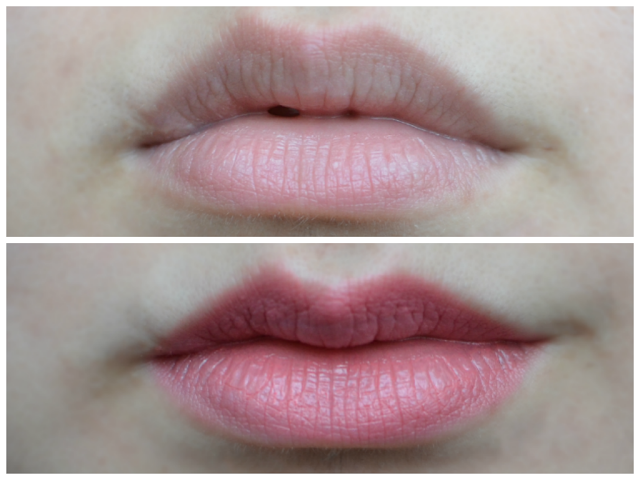 It's a "your lips but pinker" colour. Definitely going to be wearing this a lot. So that's the overview of all the Liptember products. These will not be around for long so hurry out to support a great cause. Hope you go really soon because when I went yesterday, all the red and pink were sold out already! Yeah I rarely wear light colours but this pink turned out a lot better than I though. Whaaa?? How can I pass up on blue and purple lipstick!! I'm gonna hunt them down right now!! 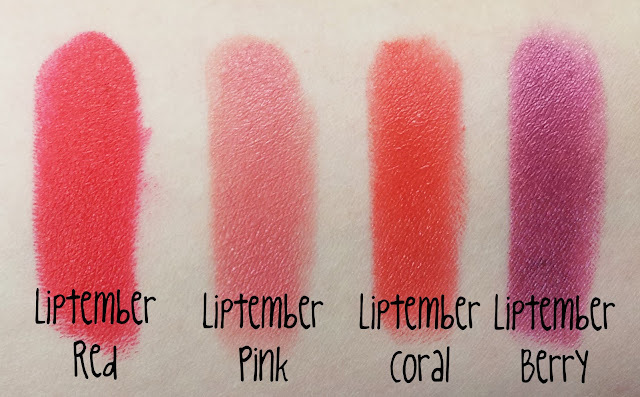 And thanks for the Liptember introduction! I had no idea what it was, but I'm checking out their website right after this!